His dream to represent the country in Rio Olympic could not be culminated because of lack of finances, but now this young international shooter has started finding hope in the students he is coaching. Yoginder Pal Singh ‘Yogi’ as he is popularly called has turned into one of the most accomplished coaches of trap shooting in India at the age of 29. In past four years, Yogi has given over a dozen junior shooters to the country who have made their mark at national and international level and is also coaching a junior foreign shooter Abrahim Eng in Malaysia. His success could be accounted from the splendid performance of his students. Shapath Bharadwaj, who is in the senior team of double trap event at the age of 15 and Aditya Vikram Singh, Gurusher Singh, Prithvi Chahal, Ashutosh Murkute, Lakshya Jeet, Vibhu Sharma all have made to the Junior squad of double trap and Trap events while the list is long. “It was in 2011 when my father asked me to coach his friend`s son Aditya Vikram Singh and gradually I decided to start giving coaching to trap and double trap shooters to raise money,” Yogi said, adding that since than he had been self-financing and stopped taking money from his father. But the talented shooter had represented the country at international level many times and also won medals both at junior and senior levels. 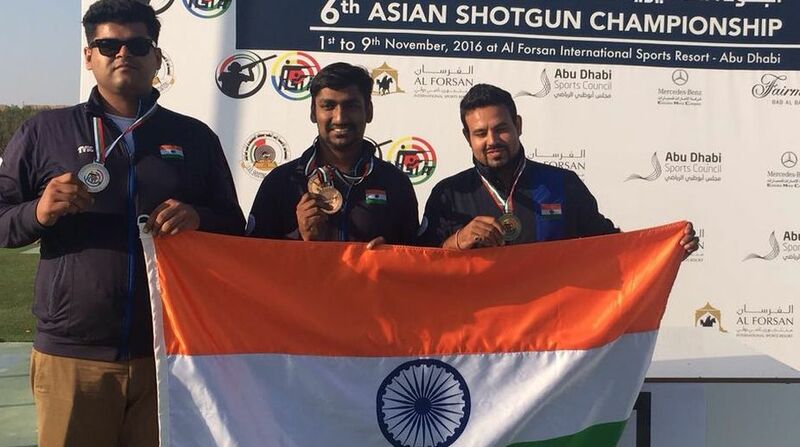 The most recent being a team silver in the Asian Shotgun Championship in Abu Dhabi, UAE, 2016. Yet, he could not get any sponsorship which became a hurdle in fulfilling his dream to get a quota in Rio Olympic 2016. Born as an elder son to Suresh and Shakuntala Sansanwal in 1987, Yogi had been passionate about sports right from his early childhood. 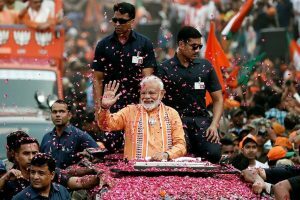 “From Cricket to football , Table tennis , badminton, go carting and Sepaktakwra( a Malaysian national sport), I had played every game in school,” he said, adding that in Mother`s International School of Delhi where he did his schooling the focus was more on studies than sports. It was in 2001 when Yogi decided to try his hands with Air pistol on the suggestion of his father`s friend Chaudhary Charan Singh, Chief Engineer of Dr. Karni Singh Shooting Ranges of Delhi. This shooting form, however, could not fascinate him and Yogi shifted to air rifle and reached as far as nationals but could not go any further and his coach Kunti Malik advised him to try his hands with some other event. Hence in 2004, he opted for double trap shooting, much inspired by Rajyavardhan Singh Rathore who had recently won an Olympic medal than. “I tried to copy Rathore Sir and other senior shooters and it took me three years to learn spotting which now my students learn in three months,” he shared, revealing that he had even gone for a brief coaching from Russel Marc in 2007, a star shooter in Australia, but it did`nt turn out to be very useful. “Although I did not get any proper coaching in the sport, I learnt determination, focus and hardwork from Ronjon Sodhi, who had been instrumental in the shaping of my carrier,” he claimed and also recalled the relentless support and contribution of his father. Yogi had participated in the Olympic trials for London Olympics in Delhi and Patiala in 2012 and also Olympic Qualifiers, Doha Qatar in the same year but could not qualify. “I wanted to try for the Rio Olympic but could not practice much because of insufficient finances, “ he shared. Yet Yogi still is living with the dream of going as far as Olympic.